November 1 - 3 2019! TBUG 2019 is Nov 1, 2, 3 at The Sirata Resort. Your pass includes attendance to all workshops, jams, open mics, artist meet & great, Saturday night Concert and Sunday Luau. It also includes a delicious buffet lunch & dinner Saturday and luau lunch on Sunday. Player passes are only $199. Companion passes are $149 and include everything except workshops and open mic. ​Don't miss this awesome event and help TBUS and TBUS Cares. We are a 501(c)3 Charitable organization and all net proceeds help us fund our education , entertainment and community service projects. “Thanks for all you do to make TBUG happen! Friday night was great fun! The song writing workshop was inspiring (to mention a couple). Your enthusiasm and energy are infectious!”Thank you to all the Board of Directors for such a wonderful TBUG. Your efforts are greatly appreciated. It was amazing! I had such a wonderful time! The workshops were great! The room was so nice, the food was great and of course the entertainment was fabulous. Petey and MIM were the life of the party and Devin was amazing! All the entertainers were so much fun. I cannot wait until next year! Thank you to all who worked so hard to make it great! Thank you all for having me and for all your hard work putting together a really wonderful weekend! Until next year my friends, stay awesome! Thanks for a great TBUG! There is nothing more fun than tbug. Thanks for a wonderful weekend, see you guys again next year. Thank you to Pete McCarty and Devin Scott for making Sunday morning magical at TBUG! I love sharing a stage with you guys! Pete took 'em to church! Devin had 'em dancing! Mim is the best - Thanks for making everything so fun! You are a FAB entertainer and MC!! Loved this! We are having a great time this morning! It’s an amazing spot with fantastic people TBUG 2018!!!! 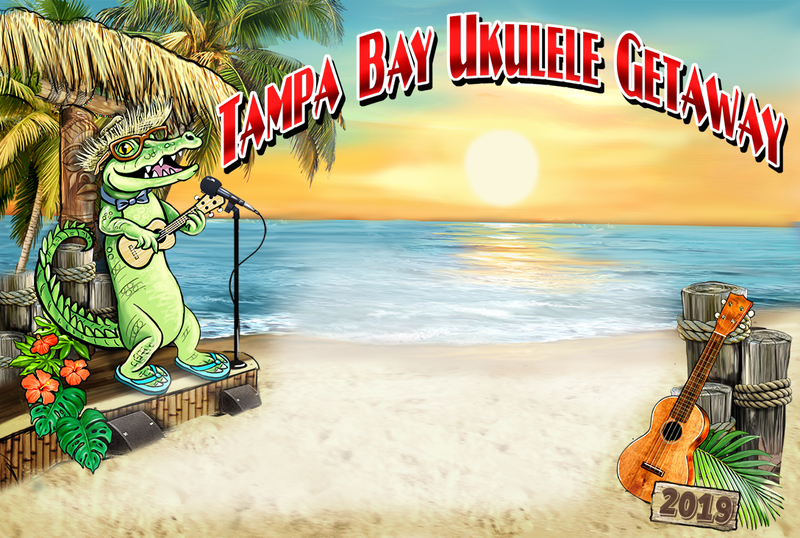 The Tampa Bay Ukulele Society has reserved a block of rooms with special discounted rates of $154 each for Friday and Saturday nights. For those wishing to extend their stay, the discounted rate of $129 is also available for Wednesday, Thursday, Sunday and Monday nights. Call any day from 9:00 am to 8:00 pm. Please mention TBUG or TBUS to get the group rate. Rooms go fast. Book now to reserve yours. Call (727) 363-5100 today. Your credit card information will be taken, but you won't be charged until you check in. Overlooking the sparkling white sands of St. Pete Beach, Sirata Beach Resort invites you to sit back, relax, and enjoy an array of gulfside activities. This family-friendly St. Pete resort offers a collection of comfortable guest rooms and suites with welcoming amenities and stunning water views and includes three swimming pools, a fitness center, and Wi-Fi access. This casual beachfront resort also offers three signature restaurants and two of the best beachfront bars in St. Pete, and it’s only a 14-minute drive from the shops of John’s Pass Village and Boardwalk.